We are a family owned hard cider company located in West Asheville. 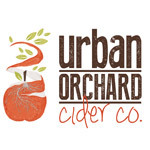 The first of its kind in NC, Urban Orchard models itself after the modern brewpub. Enjoy a one of a kind experience and sample a variety of our artisan hard ciders, made with locally grown apples, while you enjoy a gourmet small plate or appetizer. Local craft beer and wine also available.